Feeling Fancy? 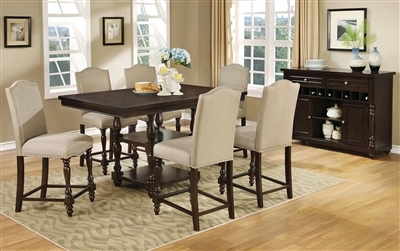 Get Your Glamour On with a Gorgeous New Formal Dining Set! 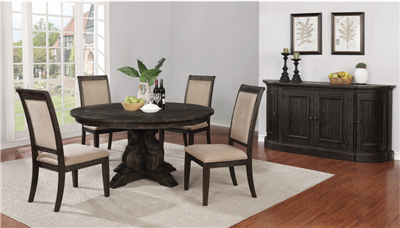 7 Piece Dining Set with rectangular shaped dining room table in covered in dark brown wood veneer surrounded by espresso upholstered chairs trimmed and framed in the same wood finish.